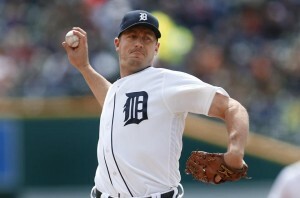 Did we dodge a bullet by allowing Zimmermann to leave? Photo via The Boston Globe. Next in a series moving backwards. Here was the “We Miss You” for the 2016 team. Lets go back a year and look at those players gone from the 2015 team. I’m building these partly from the Nats to Oblivion Posts and partly from my own notes using a combination of players gone via FA, trades, DFAs, to include major league players and significant minor league players. If a player is still in the org but was just DFA’d off the 40-man, I’ll mostly skip them. I may miss someone; pipe up in the comments if I have a glaring miss. I’ll organize this by roughly by the level of the player; major league players who left via FA or trade, then DFA’d/declined players, then minor leaguers of note who departed. Jordan Zimmermann; signed 5/$110M with Detroit and left us with a comp pick, used to take Dane Dunning. 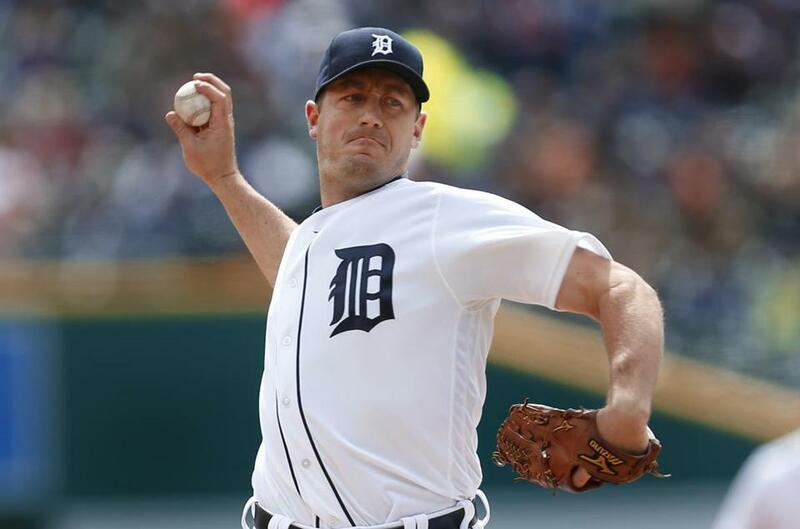 I think its safe to say that Zimmermann’s tenure in Detroit thus far has been disappointing: he had a 4.87 ERA in 2016 and missed half the season, and he’s been even worse this year. Detroit has to behaving some buyer’s remorse right now. And he’s signed for 3 more years past this one, at big money. Doug Fister: signed 1/$7M with Houston, to whom he gave 32 starts and 180 innings of mediocrity (4.64 ERA) in 2016. Apparently still believes he’s worthy of a 25-man spot and refused all offers this past off-season that were not MLB deals. Remains unsigned as of this writing; he may have to swallow his pride if he wants to keep playing and take a MLFA deal. Ian Desmond signed 1/$11M with Texas after declining Washington’s qualifying offer. Desmond became kind of the poster child for all the things wrong with the Qualifying Offer season; after turning down a 5yr/$89.5M deal the previous season, he turned down a guaranteed $15.8M offer to eventually sign for $11M. To add insult to injury, Desmond had to move off of SS for Texas, which was what propped up his value in the first place. He had an up-and-down season with Texas, starting the year incredibly hot and making the All Star team, but slumping towards the end. He got saddled with a second QO, which he again signed, but his 2016 season was enough for Colorado to give him perhaps the most inexplicable contract of last off-season, a 5yr/$70M deal … to play first base. A position he’d never played before. And Colorado gave up literally the highest unprotected draft pick to do so (the 11th pick in the upcoming 2017 draft). Desmond suffered a hand injury this spring, and as a result Colorado has installed slugger Mark Reynolds at 1B; he’s done so well that the team is wondering just what they’ll do with Desmond when he returns in early May. On the bright side for Desmond; at least he finally got paid. And i’m sure that 100% of Nats fans would take what the team has done at SS since over having a $90M contract on their hands. 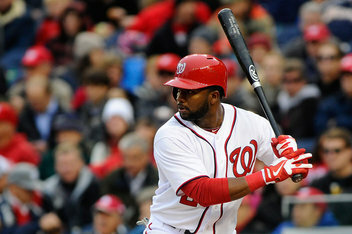 Denard Span signed 3/$31M with San Francisco, capping a frustrating year for Span and the team. He only played 61 games for the 2015 team, forcing the Nats to start Michael Taylor and his 30% K rate in CF for a good chunk of the season. Span’s first season in SF was similar to his first in DC; he struggled offensively. He’s been even worse in 2017, and is currently on the D/L (in an interesting twist of fate; his replacement on the SF active roster? None other than Michael Morse). Nate McLouth; The team couldn’t wait to decline his 2016 option and pay his 750k buyout for 2016 after his disastrous stint with Washington. His contract was ill-advised from the start; did we really need to pay good money to have a “veteran 4th outfielder?” McLouth missed the entirety of 2015, has yet to sign since, and may have played his way out of baseball. Matt Thornton signed a MLFA deal with San Diego for 2016, got called up after a couple of months in AAA, but struggled. He posted a 5.82 ERA over the next couple of months and was released in August. He has not appeared since and now at age 40 is likely done. Casey Janssen was so poor for the Nats that they bought his 2016 out for a cool $1.5M buyout for 2016); he also signed a MLFA deal with San Diego for 2016. Ah San Diego; the place where pitchers go to resurrect their careers. He was released in late Spring Training 2016, got picked up with Boston in June of 2016, pitched a bit for their Short-A and AAA teams then was released in early August 2016. Did not pick up with a team for 2017 and at age 35 with little velocity on his fastball, he may be retired. Reed Johnson got picked back up on a MLFA deal by Washington for 2016 season, but did not make the team out of spring and was released on 4/2/16. He did not pick up with anyone for 2016 and at age 39 may be retired. Taylor Jordan: After brief stints with the team in 2015, started 2016 in AAA but got hurt in June of 2016, he had a second TJ surgery … and then was released by the club on 6/28/16 to correspond to the Giolito contract addition. Man, that seems kind of cold to release a guy just after surgery, but his odds of making it back to the majors just took a significant hit. As of 2017 has not re-signed anywhere and seems a long-shot to do so, with little major league track record and two arm injuries. Likely out of baseball at this point. David Carpenter: shoulder injury, DFA’d, elected free agency and quickly signed a ML deal with Atlanta for 2016. However he was cut after just a handful of spring training games; maybe his injury is worse than we thought. He then bounced from Tampa to the Angels system for 2016, and then signed back with Tampa as a MLFA/NRI for 2017, but was cut on 4/4/17. Emmanuel Burriss: signed MLFA with Philly and lead-off against the Nats in their first visit to Philadelphia in the new season. He was DFA’d and purchased a couple times by Philly last year, but upon his outright after the season he elected FA and signed a MLFA to return to the Nats for 2017. He looked like nice utility infielder insurance until he got suspended for a “drug of abuse” in the spring (his second such offense). He currently sits on Syracuse’s restricted list. I have to say; his status as the sole DC-bred baseball player in the pros (as far as I can tell) and his playing for the Washington franchise seems to put him in a great post-career outreach position … but now with two drug suspensions on his resume, I wonder if he’s scuttled any such possibility of representing the team in the community. Craig Stammen: fan favorite had an ill-timed injury late in the 2015 season and was non-tendered instead of guaranteeing him a contract for 2016. He signed a MLFA with Cleveland for 2016 but never made it out of AAA. I had him as a leading “oblivion candidate” until he signed another MLFA deal for 2017 and made the San Diego opening day roster. His april has not been good though, sporting an ERA in the mid 8s as of May 1st. He may be in danger of a DFA, which might spell the end of his MLB career given how the last couple of seasons have gone. He gave the Nats 3 solid years as a bullpen workhorse that may have led to his eventual wearing out. Tyler Moore never could match the magic of his debut season in 2012, but a series of injuries kept him hanging around in 2014 and 2015 when he may otherwise have been released. His luck ran out though for the 2016 team, when he got beat out for the RH bench bat by Chris Heisey and he got DFA’d at the end of spring training. We negotiated a trade of similar discarded assets with Atlanta, trading Moore for Nate Freiman. Freiman didn’t last three weeks with the AAA team before being released (a measure of just how little we got in return for trade), while Moore got injured early and missed most of the year for AAA Gwinnett. He signed a MLFA for 2017 with the Marlins and team out of spring training. He even got a crucial hit against the Nats early in 2017 season, but was soon DFA’d again. He passed through waivers and was outrighted to New Orleans (where, as noted in the previous post, he joins a litany of former Nats). Xavier Cedeno was the first 25-man DFA of the 2015 season. He was used 4 times in 5 nights in early April, gave up a couple of runs and then got designated with just 3 IP. It was an odd move at the time; why was he getting appearance after appearance if the team was going to DFA him? Why did the team have so little patience with him? After his DFA, he got purchased by the Dodgers, who then sold him to the Rays 5 days later … and he had 61 appearances with a 2.09 ERA for Tampa Bay the rest of 2015. He was a solid bullpen arm for them all of 2016 and remains on their team now. Do you think maybe the team gave up on him too soon? Taylor Hill: Hill was DFA’d to make room for January 2016 signings and was outrighted to AAA, where he pitched the entire 2016 season. Hill finished out the year for AAA Syracuse with a 4.60 ERA in 27 starts. He is still with the AAA team for 2017 but has been passed on the depth chart by several guys (Cole, Voth, Fedde) and faces long odds of a return to the majors with this organization. Additionally, Hill has started the 2017 AAA season by getting shelled; an 8.14 ERA for April. He may be in serious jeopardy of getting released. Aaron Barrett: Tommy John in 2015, then in June of 2016, he had a major set-back in his TJ recovery, fracturing his elbow. He has re-signed with the Nats for 2017 and starts the year on the AAA D/L. I was happy to see the Nats give Barrett this gesture of signing him so that he can rehab with the team, and I hope it pays off with an eventual return to the fold. Matt Purke got his last shot at salvaging a career with the Nats, who signed him for big-time money ($2.75M as a 3rd rounder in 2011, the last free for all non-capped bonus draft). He failed to impress again, and the team let him go to free agency. He signed a MLFA deal with the Chicago White Sox, who assigned him to AAA … and then he earned a call-up by mid May 2016. 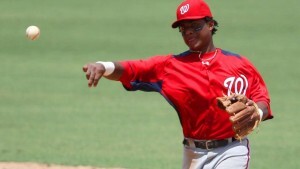 The nats were looking rather foolish for cutting bait on a guy who made the Chicago MLB team after just a few weeks. But his time in South-Side was short lived; he was optioned back to the minors by the end of June, never made it back, was outrighted over the off-season and started 2017 off the 40-man pitching for AAA Charlotte. He is still wild (8 walks in 11 2017 innings) but he’s only 26 so there may still be time. But from a Nats transaction perspective, i’m not sure what else they could have done. Yunel Escobar: after a productive season with the Nats, where Escobar played multiple positions and covered for infield injuries galore, he was traded to Los Angeles Angels for Trevor Gott and Michael Brady in the off-season. At the time of the trade (mid December 2015) Escobar was considered surplus to requirements, in that the team had its infield already spoken for in Anthony Rendon, Danny Espinosa, and Trea Turner. Two weeks later the team signed Danny Murphy to play 2B, thus relegating Turner back to AAA to save his service clock. Escobar was traded to the team with perhaps the worst farm system in the majors; Gott has yet to throw a pitch for the MLB team and Brady is already gone via MLFA, so the return for Escobar is rather paltry. That being said, I think the league knew we were shopping him, he had just had a career year with a BA 30 points above his career average, and may have been ceiling limited with the expectation of regression. Since the trade, Escobar has played a solid 3B for the Angels and kept his BA above .300, and has been joined in their infield by fellow Nats reject Espinosa. Drew Storen traded with cash to Toronto for Ben Revere, ptbnl. I think we’ve litigated the Storen case to death; he was flipped more or less since the acquisition of Jonathan Papelbon and Storen’s undeserved demotion seemed to break him; it was as clear of a case of someone needing “a change of scenery” as I’ve seen with one of our players. We got a player in Revere that filled a point of need (CF) and one that looked on paper like a good deal at the time. I think its fair to say now that this trade didn’t work out for either team: Storen put up an ERA north of 6.00 for Toronto, got flipped again to Seattle, and at current sits as the 8th inning guy for one of the worst teams in baseball (Cincinnati). Meanwhile Revere barely hit the Mendoza line for the Nats, forcing the team to put its SS of the future into CF as a make-shift replacement, and got non-tendered at season’s end. A crummy end to Storen’s career here, where he remains in 2nd place all time (behind Chad Cordero) in career franchise saves. Kila Ka’aihue, Ian Stewart, Mike Carp: part of the great 2016 RH bat spring training cattle call; didn’t make the team and were eventually released. Tony Renda traded to Yankees for David Carpenter mid-season in an attempt to buttress the bullpen. Didn’t work. Renda may have been my farcical “future hall of famer” before Max Schrock, in that they’re both basically undersized middle infielders that posted good minor league numbers but seem ceiling limited. Renda got traded to Cincinnati ahead of the 2016 season, had a cup of coffee up there, but got outrighted after the 2016 season and remains on the AAA Louisville roster. Mitch Lively and Evan Meek: both AAA hurlers released from their contracts so they could sign in Japan and Korea respectively. Lively struggled in Japan and has been pitching in the Mexican league ever since, while Meek also struggled in the KBO and has been playing indy ball ever since. Jose Valverde opted out of his MLFA contract and was released in July; never picked back up for 2015, or 2016. Kept pitching in winter ball and is now in the Mexican league. Eric Fornataro the off-season waiver claim never made it out of AAA, posting a mid 5 ERA and got released in July. He picked back up with a MLFA for 2016 with Baltimore, but struggled in AA and was released in May of 2016. He has not signed since and may be done. Nick Pivetta: traded to Philadelphia for Papelbon. We know the Papelbon story, and now we know the Pivetta story; he debuted in Philly’s rotation last weekend in LA after a solid year starting in AA and AAA in 2016 and a hot start in Lehigh Valley for 2017. 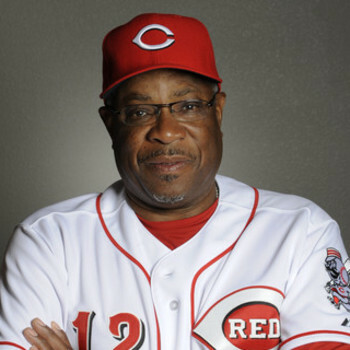 He may be in a position to haunt the Nats for 6 seasons …. all for a year and a half of tumult out of Papelbon. Dan Butler was a Catcher we received from Boston for Danny Rosenbaum in Jan of 2015; he was a 40-man spot holder for most of the season but served mostly as catcher depth before being DFA’d in July to make room for Papelbon. He was outrighted to AAA, elected FA after the season and went right back to Boston for 2016. He remains as their AAA backup catcher. Player I most miss from this list: From a Nats “legacy” perspective it was tough to wave good bye to Ian Desmond, who gave this franchise 11 years of his life. 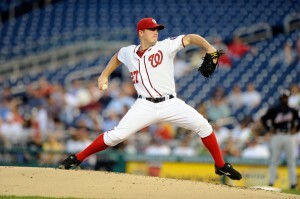 Same with Zimmermann; he was part of the core that turned this team from a laughing stock to divisional winner. Player Loss I most regret using unfair “hindsight is 20/20” vision: Pivetta. Even if he’s “only” a 4th starter, he represents all that was wrong with the Papelbon decision. Player Loss that is the most “We dodged a bullet” situation: Zimmermann’s contract; we thought he’d get overpaid, but a year and a half in his contract looks awful for an aging team that’s moving the wrong direction and has little chance of unseating Cleveland in their own division. So, one big factor in any team’s off-season plan is figuring out exactly what the payroll is going to look like, to figure out what their budget is, and then go shopping from there. This post goes through the guys we have under contract as we speak to try to do some projections of what we already have committed in terms of 2016 dollars and therefore draw some conclusions about how much FA shopping/veteran salary acquisition we’ll be doing this coming off-season. (note: all this data is, of course, in a Google XLS for your perusal and/or available as a Link to the right). So, that’s $61M coming off the books. I’ve counted the option buyout dollars for the 2016 options of Janssen and McLouth in the 2016 figures, but this is still a significant sum. So, 61M coming off the books; how much are we committed to for 2016 as things stand? I count about $82M committed to these 7 players for 2016. I’m only counting Scherzer‘s salary at the $15M for 2016 since that’s what he’s gonna get paid exactly in 2016. Cots has a whole complicated explanation when it estimates payroll on its site (see this link) by prorating his signing bonus over 7 years and a whole different calculation made for luxury tax purposes, but I think that’s a mistake to use anything other than the actual dollars going out the door in a given year. The Lerner’s kicked that can well down the road by getting him to agree to defer literally half the money in the deal for the express purpose of keeping its present value down for their budget, so that’s how i’m figuring it here. If you disagree, feel free to argue about it in the comments. If the Nats can move Papelbon and some of his $11M in salary, all the better, but I figure they’ll likely have to eat a lot of it to do so, so I can’t see this figure moving much with off-season trades. So, if we keep all these guys I can see them costing in arbitration about $36.6M. 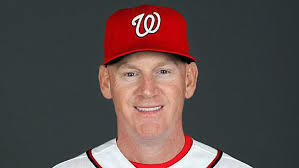 It wouldn’t surprise me in the least to see Storen traded of course, nor would it surprise me to see Moore DFA’d outright, or for the team to acquire another backup catcher and part ways with the light-hitting Lobaton. But we’ll cross that bridge when we get there. For now, $36.6M is a good estimate. Thankfully Strasburg really struggled this year, otherwise his arb-3 figure might be closer to Zimmermann’s last arb figure ($16.5M) than the $12-13 he may eventually get. Coincidentally on Rendon: did you guys see where he made the Super-2 cutoff on the exact day in terms of service time? 2 years, 130 days. And that’s exactly what he has. So, depending on how he plays over the next few years that likely costs the Nats at least $8-10M in salary. Hey, not my money. I don’t exactly think the team was actively trying to manipulate his time like they did with Strasburg, so maybe they just don’t care. If the 2016 season started tomorrow, this is how i’d project the rest of the roster coincidentally. Even factoring in nominal raises for guys like Roark and Robinson, this still doesn’t even total half of what Papelbon is due in 2016. Pre-Arbitration players; the best deal in the game! I don’t think Cots counts these guys against payroll because unless they’re on the 25-man roster actively, they’re not necessarily getting paid like it. I think. I’m open to suggestion here. Total 2016 Projected Payroll: $126,781,429. That’s $35m less than 2015. So, if you make the argument that the Lerners will keep payroll even with 2015, that’s about $35M of payroll room with which to work. For some reason I think they’re going to rein back in payroll, so lets call the target for 2016 about $150M. Not too bad; that should buy what this team needs. Bullpen; if a $10M closer is acquired, you off-set the salary a bit with a Storen trade, and then perhaps buy a mid-level veteran RHP for $5-6M/year. Lefty hitters: not much on the FA market that won’t cost you an arm and a leg; we could get creative and move some depth for another $10M outfielder type and use Taylor as a 4th. Backups: Maybe some infield depth in the $5M range. Maybe rotation competition; frankly there’s better things to spend money on, so I think they go to battle with what they have. So, that’s roughly $25M in acquisitions, right around the $150M target. That could work. 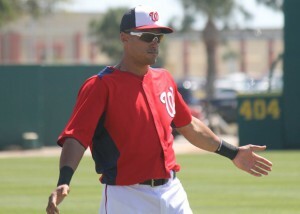 Nats Outfield … what happens next? I’ve held off posting about this, since most other pundits are putting in their two cents as well. But Denard Span‘s “core muscle” surgery has suddenly got this team potentially in a pickle in terms of outfield depth and I thought it was worth discussing. Unlike the Jayson Werth surgery announcement, which seemed to be well enough timed to cause only a brief disruption to the Nats starting outfield plans, the Span injury could have a longer lasting issue. And, even though Span’s not nearly the hitter that Werth is, he’s much more difficult to replace thanks to his position (center instead of corner) and his lineup skills (lead-off). I’m guessing that Span misses the entire month of April. His surgery has a “4-6 week” recovery time frame and there’s plenty of recent players who struggled for entire seasons after dealing with similar injuries. Not a great sign for the team or for Span, heading into a walk year. I’m guessing Werth also starts the season on the 15-day DL with the idea of coming off of it on the first possible day and only missing 2 weeks. I also think the Span/McLouth DL combination creates an opening for a backup OF on the opening day roster. And I think one Tony Gwynn Jr. is going to win it. He may not be with the big club very long, but he could serve as the prototypical “4th OF who can play center field really well who does a lot of late-inning defensive replacement duty” guy until the roster is back. There’s not really another guy in camp who has CF quals and the MLB experience that Gwynn Jr. has, even if he’s a career .238 hitter. Gwynn could easily be added to the 40-man by opening day because at the same time he’s to be added, the team will likely be DFAing both Xavier Cedeno and Sandy Leon, both of whom are out of options and not likely to make the 25-man roster. 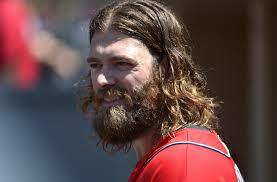 When both Span and Werth come back, it could spell the end of the line for Moore thanks to his options crunch. That being said, he’s hitting the cover off the ball so far in spring training (insert standard March debate about spring training stats and their meaning), and the team won’t dump him if he’s hitting .350 in April, so he controls his own destiny. Where the roster moves do come into play is the assumption that one of these lefty-hitting NRI guys is making this team too. We likely cannot keep both Moore and someone like a Mike Carp once everyone is back. Luckily three injuries to presumed 25-man holders makes for a stay of execution for many guys. Now the big question; who the heck hits lead off if Span is out?? A good question. Presuming your opening day fielders are: Harper, Taylor, Moore, Zimmerman, Escobar, Desmond, Rendon and Ramos. Who in that group makes sense to bat lead-off? Basically just three candidates: Taylor, Escobar and Rendon. And none of them are really “good” candidates frankly. Yunel Escobar (who is nursing his own injury and could very well also be joining the others on the DL, but we’re assuming for the purposes of this post that isn’t happening and we’re not looking at an April 1 roster that has Dan Uggla on it) isn’t exactly a prototypical leadoff hitter at this point in his career, though he generally has batted either 1st or 2nd. throughout his career. Taylor projects more as a middle of the order hitter frankly, thanks to his massive K numbers (144 in 110 minor league games last year). Anthony Rendon *could* bat lead-off … but he’s likely the team’s best hitter and makes the most sense batting in the #2 slot. If I were Matt Williams, I’d probably go with this lineup: Escobar, Rendon, Harper, Zimmerman, Desmond, Ramos, Moore, Taylor. Man that’s a lot of right handers. The only lefty in that lineup is Harper. But what choice does the team have? I’m kind of excited to see Taylor get some opportunity at the MLB level frankly. What if he lights it up? What if he proves he’s a legitimate power-hitting center fielder who can man the #8 position for the next 5 years in Washington? We’ll never know until he gets a shot. 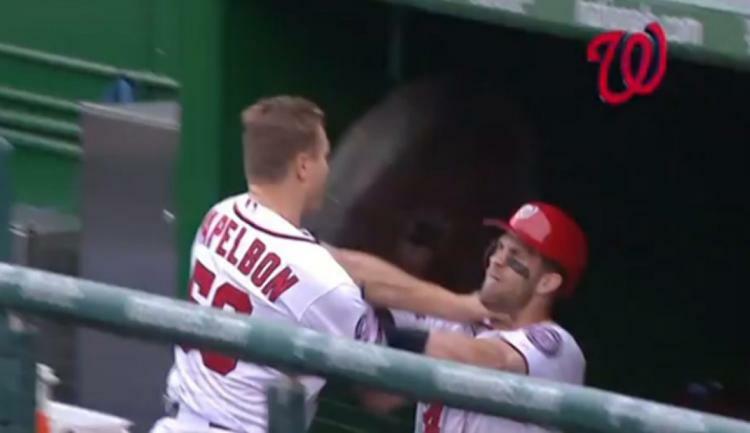 Oh, btw, to all those second guessers who now feel the need to question the Stephen Souza trade, asking smarty-pants questions like “gee do you think the Nats regret trading him now? ?” stuff in national forums, I say this: the trade made sense at the time, the return was great, and you cannot manage your baseball team on the fear of two unexpected injuries in a 3 month time span. Souza is very promising, so is Michael Taylor, and the team is assuming that Taylor has more positional flexibility than Souza. You only need one or two backup outfielders on a 25-man roster, and the Nats had more than plenty heading in to 2015. Yes hindsight is 20/20, but if the team was presented with the same trade today, knowing they were getting a future back-of-the-rotation starter in Joe Ross plus their shortstop of the future in Trea Turner, i’m not so sure they still wouldn’t make that deal and just work their way through April of 2015. Oh, pps, has anyone noticed that the setting up of the spring rotation seems to imply that the Nats 1-5 rotation is shaking things up from years past? It seems like we’re going to go Scherzer, Zimmermann, Strasburg, Fister and Gonzalez. That’s last year’s #1 pitching third, and last year’s #2 pitching last. Can’t say I disagree based on the career accomplishments of Scherzer and Zimmermann, just kind of surprised to see Strasburg being “deposed” as the Nats #1 starter. And, another PS: with the injury announcements to Yu Darvish and now Marcus Stroman, I wonder if teams are calling the Nats to work a trade for one of our surplus starters. Maybe there’s still a deal out there for Zimmermann or Fister, reinstating 5-win starter Tanner Roark to the rotation and padding the farm system coffers a bit more.